The next day we rented a car with Hertz to travel to Loch Ness, pefieres even if there are many companies that offer bus tours so you do not have to drive. Had booked a Corsa for £ 75 pounds for three days, and on arrival we were told we were none and got a Mazda 6 for the same price (yujuuu). To go al Lago Ness (Loch Ness, pronounced large and not hole) from Edinburgh can take two paths: One is to go to Inverness and from there down to the Lake (about 35 km), or make a detour through the A85 and take the lake bottom through Loch Lochy. Although it takes longer, We decided to give the rodeo and more power and landscapes of Scotland, and in my opinion worth (although Aaron was a little tired of driving, the truth). In total the route is a 4 hours, so we decided to stop on the way to see another of the many beautiful Scottish lochs: Loch Tay, two hours and hours of Edinburgh without deviating much from the main road. 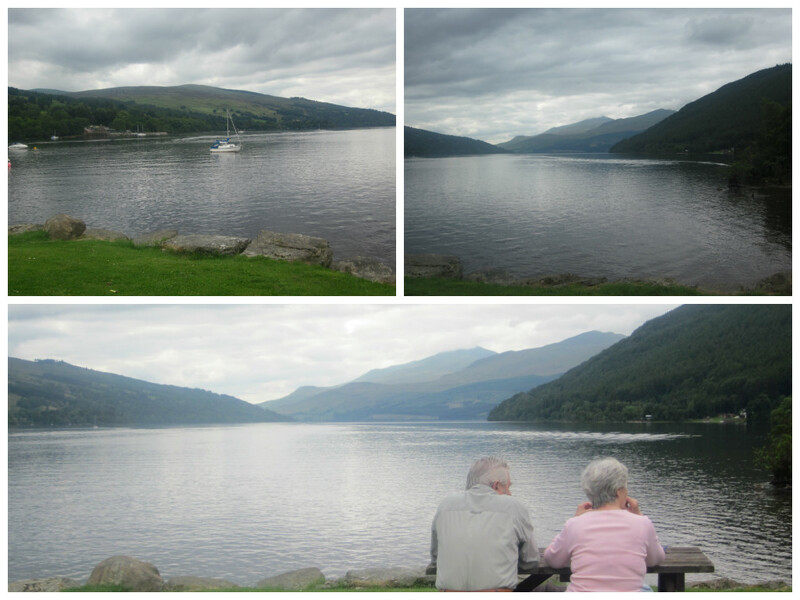 In my opinion, Loch Tay is one of those wonders unknown to tourists, a huge lake surrounded by mountains in true Swiss style, with just a cafe and wooden benches to sit and enjoy the scenery. Since I live in England I've noticed a curious fact: when you tell that you are an Englishman in Spain, nobody asks you if you live in Madrid (it would be more logical if you consider that it is the largest city), but if you're from Barcelona, Malaga Mallorca. Malaga I have already spoken a previous post and I've never been to Mallorca, even so by the time I hear about her and how much I like, Barcelona deserves its own entry in The Immense Journey. Surely you've already visited the old city, and although it is not so, sure you already know all the places you should go: Plaza Catalunya, Sagrada Familia, Barceloneta, Las Ramblas… so this post is a little more “tailor-made”, so you discover other places in Barcelona that enjoy if you're a boy, o si eres chica. 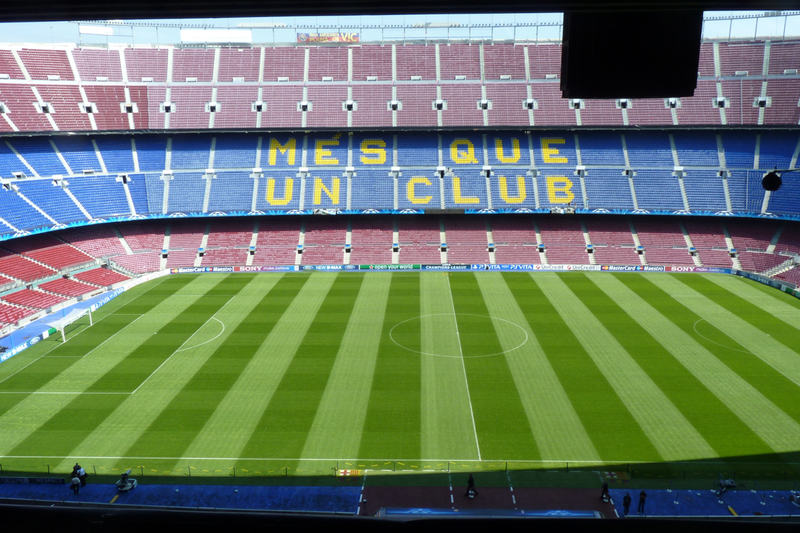 CAMP NOU. A guided tour of the football stadium with more capacity in Europe (and sixth in the world) sure it's something you want to miss. By 23 euros can go all the stadium, from the field to the locker room, you through the museum and enjoy a media space where a 3D documentary. Do not forget to make pictures in the press room or in the cabs of commentators. Lluís Companys Olympic Stadium. Following the sports industry, will surely like to visit the Olympic Stadium Montjuic (that contrary to what I thought, not named), mythical scenario of Olympics 92. Berlin is a special city. There are many charming European cities, but Berlin is… different. In my opinion, Berlin there for everyone: for lovers of culture, for historians, for people looking to party, for families… Whether you are looking for a getaway with your partner a weekend, just as if you want to escape from the routine to get into a dark café to read a good book while listening to jazz background (as always said my friend Ele), Berlin is your destiny. Checkpoint Charlie. It was our first stop in the city and I still remember the bittersweet feeling of face to face a real border crossing used to report the East and West. 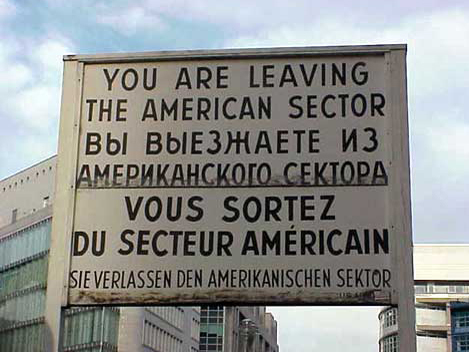 The poster “You are leaving the American sector” is a claim all the souvenir shops. Since coming to Britain already more than a year (that time flies) I wanted to visit Bath, one of the most beautiful cities in this country, and world famous for appearing in the books of Jane Austen. I think I had never mentioned so far in the blog, but I'm a geek of his books and everything related to the time of the Regency, so you can imagine how much I liked this trip. Bath is a city in southwest England, with about 90.000 Settled people do anything unless 2.800 years by King Bladud, father of King Lear (who later inspired a play by Shakespeare). Today is a typical English town, littered with monuments and buildings made especially 300 years and a special charm on every street, that have declared to be Heritage UNESCO. My trip only lasted a day, but it was more than enough to visit the main attractions in Bath. We started the morning at the Parade Gardens, quite picturesque gardens on the banks of the River Avon, perfect for my getting into the vintage vibe. Admission is 1.20 pounds per person. We started our journey from Ponferrada, and decided to make the first stop on our trip somewhere in the Basque Country. Our choice was the city of San Sebastian, very close to the border, and camping Igueldo. However, that weekend were the holidays, and the campground was full, so I finally stopped in the beautiful town of Zarautz (where the restaurant's Gourmet Desserts, certainly). Last week I was in Valencia, the third largest city in Spain and the birthplace of wonders and failures, paella and sangria. It was a journey that took a long time waiting, not only visit the city but also by the desire I had to reconnect with my friends from Tourism, and did not disappoint me anything. I made many photos this trip, which you can see by clicking here. In total four days we were in Valencia, and even though we missed some things to see and do, I think the advantage quite well and we got to capture that special essence Valencia: Mediterranean, Young and full of contrasts.